KLM promotion code 2019 - up to 20% discount off flights! KLM promo code granting £40/€50 discount off flights all long-haul flights! Use below voucher and book cheaper flights with KLM, Royal Dutch Airlines, flag carrier of The Neherlands. This SkyTeam carrier have just launched brand new promotion code in 2019. You may easily save amazing up to £40/€50 just by filling in below mentioned voucher during booking process. Your air freight fare will be then instantly discounted and you can proceed with your booking till payment. This currently valid KLM promo code 2019 has to be however used through certain website offshoot of this carrier. (See details below). KLM discount works on routes to Asia, America or Africa! How to apply KLM promotion code 2019.: To get huge discount off your flight booking through KLM simply click on below link to reveal promo code and once you proceed to last tab “Payment” use this promotion voucher code. Look for separated field “Your discount code” to where you can past this KLM promo code. Below you can see screenshot of successfully applied KLM disocunt. It is located right below summary of your flight. Once you enter this valid discount code the system will automatically recalculate and lower price of your next flight by said discount in total fare in next step. To book your flight using this promotional code with KLM discount code 2019 you have to choose for flights operated by KLM long haul flights. (no code share flights). The value of the promotion will automatically reduce the net flight fare (excluding taxes and surcharges). The limitation is that you have to look for flights with base fare at least €150 so you have to look for overseas destinations only. (KLM promo code does not work on flights across Europe and to destinations in Middle East and North Africa). Again this KLM promo code is only valid for flights when booking through KLM BE offshoot and bookings made directly through the airline. Operating carrier: Air France, KLM, Air France Hop, KLM Cityhopper, Joon and Delta. Valid for booking made: between 18/03/19 and 31/03/19. Travel dates: between 18/03/19 and 18/09/19. Eligible destinations: Any long haul destination. Immediate payment over the website and issuance of an e-ticket. Travel out of any of the following UK airports: London Heathrow, London City, Manchester, Birmingham, Newcastle, Edinburgh. Glasgow, Aberdeen, Bristol, Norwich, Durham Tees Valley, Humberside, Leeds Bradford, Cardiff, Inverness and Belfast. Minimum price of the ticket (for the beneficiary and other booked passengers) before the reduction and application of any taxes, surcharges and service charges: £130. IDC can only be redeemed once per booking. Maximum use of IDC: 200 times. (offered on a first come, first served basis). The use of the Internet discount code is only valid between 18/03/19 and 31/03/19. This Internet .discount code is not combinable with any other offer. Reward tickets are not eligible for the price.reduction. Use of this offer is also subject to the General terms and conditions of KLM Internet. Discount Codes. The departure and return flights must be between 18/03/19 and 18/09/19. This KLM promotion code can be used for bookings made till 31st of March 2019 and flight must be taken till 18th of September 2019. 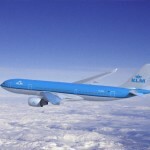 To get KLM promotion code or in case of to read full conditions please visit KLM web site directly. Below you will save some great money using latest KLM promo code. Booking sample of applied KLM voucher below. In this case you would book return ticket for two adults on route between London Heathrow to Johannesburg, South Africa. Outbound from the UK to South Africa on Saturday, 11th of May. Return on 20th of May 2019. You would pay just £706.48 for a roundtrip. That means approx £353 per passanger for a roundtrip flight London-Johannesburg.